Morgan silver dollars have become very popular as an investment vehicle for coin collectors because they cost a reasonable amount of money to buy, have performed very well in the past as an investment, and are beautiful to behold. But like any investment, you must do your homework first if you expect to come out ahead over dealer profits, inflation, rare coin appreciation in general, and knowing which specimens to buy in particular, to ensure that you don't take a loss instead. As a rule, you need to keep in mind that common date Morgan silver dollars that grade below AU-50 are only worth their silver bullion value. Of course, there are a few exceptions, especially for Morgan Dollars minted at Carson City, but most Morgan dollars on the market today never circulated as regular coinage. The main reason for this is that the U.S. Mint produced hundreds of millions of more Morgans during the 1800's than were needed for circulation, so they sat in vaults. The United States Mint made more than half a billion Morgan Dollars between 1878 and 1904. Although nearly 3/4 of these were melted down before being issued, the majority of the Morgans in the marketplace today didn't even leave the U.S. Treasury vaults until 1960. 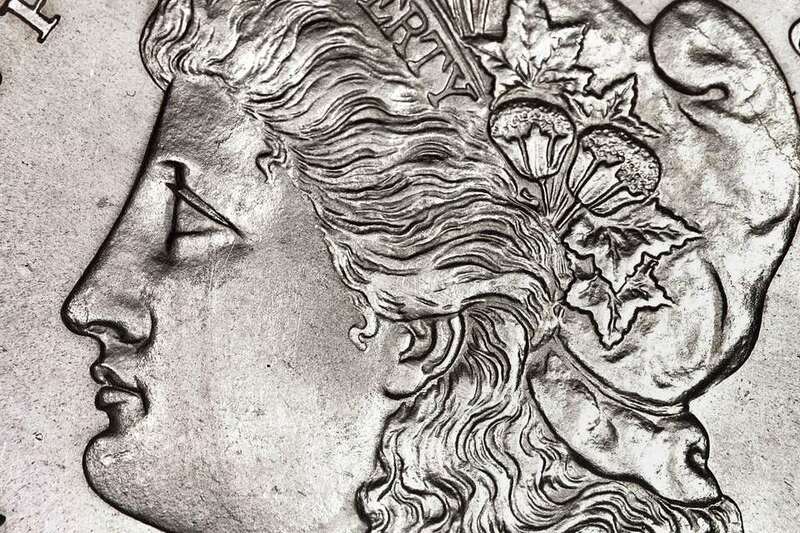 Before you invest in them, you should learn more about the history of the Morgan Dollar, which makes a fascinating story. The bottom line is that Morgan Dollars in Uncirculated grades are extremely common, so be aware of this fact when you go to buy Morgan dollars. Because most of the Morgan dollar coins exist in higher grades than most other series, you should invest in only the highest grade specimens. If you can afford to buy Proof Morgan silver dollars, you should do so because those have performed very well as investments. The next best investments are the very high grade, MS-65 or better coins. They are pricey compared to MS-60 to MS-63, but their incredible rarity in the age of encapsulated coins make them a good investment. Another very important thing to consider when investing in rare coins, including Morgan silver dollars, is to consider who is providing the coin grade. The price difference between MS-63 and MS-65 is significant, and not all dealers and grading services have the same grading standards. In fact, coins which are in slabs from PCGS and NGC are worth more than coins in slabs from certain minor grading services. This price difference is because PCGS and NGC have consistent, exacting, and largely non-subjective standards for grading. Finally, once you've made the informed decision to invest in a given Morgan silver dollar, always take delivery of your coins in person. Don't fall for dealer assurances that they will store your coins for you and they will be kept in a secure vault. If the dealer cannot produce the coins you're buying in a major grading company slab, find another dealer. If you don't have a proper built-in, fireproof vault to store your investments in, put them in a safety deposit box. Always remember that Morgan silver dollars can be your future retirement, so don't let them get stolen by a thief.